One of the most revolutionary advertising media that has surfaced in recent years is video advertising. This is compounded by the fact that YouTube is part of Google, which is the top search engine in the world. YouTube has changed the landscape of social media advertising where it can help businesses to reach their target audience better, more accurate and definitely more impactful. 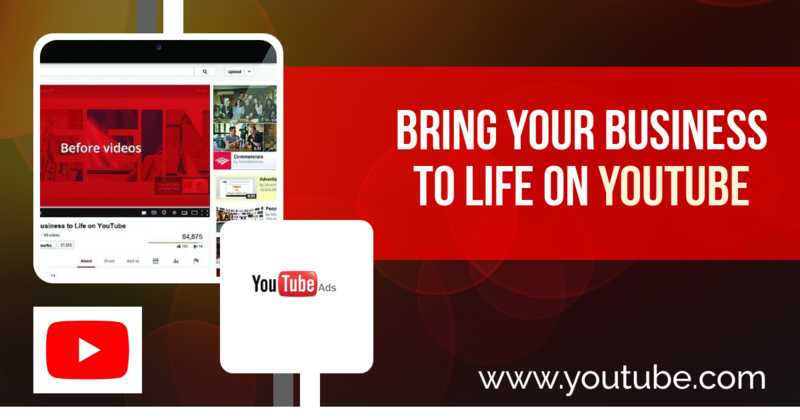 As such, it is very important that your media planning is carried out carefully in order to fully maximize the power of YouTube advertising. The biggest misconception about advertising in YouTube is that it might be very expensive. While this video sharing site might be the most used media, it is not very expensive. In fact, rates start from as low as RM0.04 per click and can reach up to RM90 per click in terms of cost-per-view but it really depends on whether your ad is viewed and clicked. In-stream ads are the most common types of media that most viewers will come across. This is in some way regarded as an intrusive media because your ad actually appeared before the specific video is watched. The viewer will have to watch the first 5-seconds of your ad before deciding to turn it off and continue with the requested video. You will only be charged if the viewer clicks your ad after watching 5 seconds of your ad. If your ad is able to create the intended message in the first 5 seconds, then there will be no charges. What you want to do with In-search ads is to have your ad appear alongside the string of keyword used by the viewer. It is very similar to the AdWords used in Google search. Your ad will appear on the top of the browser before the rest of the videos. : You will only be charged if the viewer decides to click your ad and watch it. This is considered as a pull strategy and can be highly effective to capture only interested viewers. Your ad is explicitly labelled as an ‘Ad’. It will be fitted into a yellow box and the placed together with other videos in the YouTube page. In most cases, In-Display ads can be unrelated to the search or the video being viewed. In fact, it can be unrelated to the search that was requested which brought the viewer to this result page. : Similarly to the other types, you will only be charged if the viewer clicks on your ad. This method can be quite difficult to grasp as it can sometimes be very random. This type of spot is more ad-based. It is used in long videos; usually 5 to 10 minutes long and your ad will be among a few for the viewers to choose before deciding. The deal is that when the viewer decides to watch any of the ads, they will not be interrupted for the entire duration of watching the specific video that they requested for. : This media is more focused and can be very effective. You will only be charged if the viewer decides to watch your ad. This media allows your ad to appear before or during the playback of a certain video. In most cases, your ad will try to entice the viewer to click by putting some attractive tag-lines or promotions. When the viewer clicks on this ad, they will usually be directed to an external website. This could be the site of your promotion or to your company’s webpage. : The charges are the same with this type of media. You will be charged if the viewer decides to click on your ad which will then direct them towards your webpage. Offline marketing strategies that still work!